NEMEON is a purchasing cooperative for the building materials industry that provides management support and resources to independent roofing and siding distributors (IRSDs). This business model changes the balance of power to a more level playing field between independent companies and huge chains. NEMEON’s 150+ members with over 500 locations are small and mid-size businesses that consolidate buying power in order to purchase products at lower price points and increase profits. According to industry studies there are approximately 7.3 million small to medium-sized businesses in the United States. In order to compete with national and global retailers, these smaller companies need to utilize all available resources and technologies to gain every possible competitive advantage. Small and medium sized product vendors don’t buy and sell the high volumes that big box retailers do, so their need to maximize buying power and reduce overall costs is critical, especially in this era of consolidation and large-scale national chains. NEMEON was looking for new ways to provide resources and technologies that would enhance coop members’ ability to sell more products. In addition, NEMEON knows that communication and visibility are key for distributors who have valuable information to share about suppliers and their products. Since distributors work with multiple suppliers, this info is constantly changing. It’s imperative that customers visiting a showroom have access to the most up to date and relevant information possible. NEMEON decided to find a digital signage content management system (CMS) that it could offer to each of its coop members. Skykit is a born-in-the-cloud digital signage software platform with an intuitive interface that lets users create and edit content from a browser to any device. Content can be updated in real time to specific displays, or created and then scheduled ahead of time. It’s designed for infinite scale in a secure environment. The NEMEON Network was established to offer Skykit digital signage to coop members as a fully-administered turn-key product. NEMEON buys Skykit in bulk and re-sells to members, coordinating the purchase, delivery and installation of the CMS. NEMEON even has a dedicated Digital Signage Administrator who manages Skykit centrally for members. 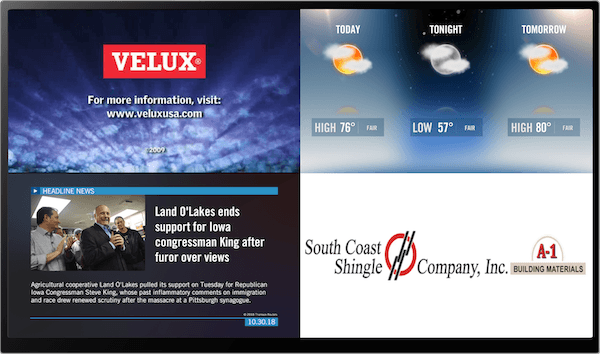 NEMEON currently has Skykit digital signage in place at more than 100 supplier locations throughout the U.S. and Canada. The company is aiming to have 250 installations by August 2019, and 550 by June of 2020. 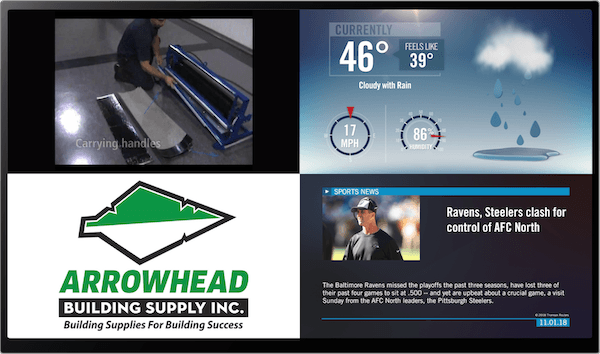 Members are using Skykit to bring manufacturers’ product info right into their showrooms via digital displays that can share multiple types of info in a variety of formats on a single screen. Installation and DIY videos give visitors a firsthand look into showroom products out in the field. 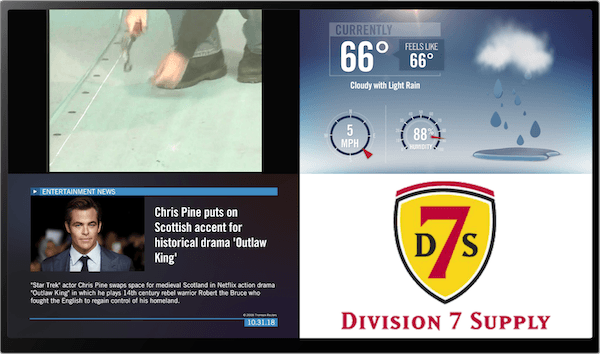 News, sports and home repair channels entertain visitors during showroom wait times. Informative weather graphs show current radar conditions as well as hourly and daily forecasts. Sales often spike after suppliers’ feature products or advertise new product discounts. Since adding the NEMEON Network to our showrooms, we have noticed positive things. Our customers are seeing new products and asking more questions. I can’t think of a better absentee method for a vendor to gain consistent exposure to their customers. 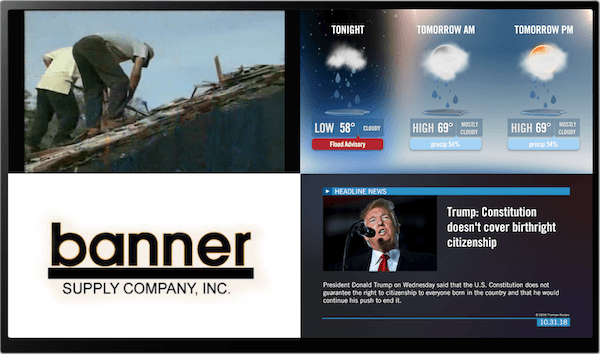 The news, weather and other information the network provides is great. We will continue to have the NEMEON network as part of our marketing plan. The NEMEON Network is a welcome addition to our showroom. Nothing but positive feedback from our vendors and customers thus far. Every NEMEON Member should be a part of the Network!